Contrary to the false publications by Punch online that the Vice President, Prof Yemi Osinbajo has suspended his Tradermoni tour, the Senator representing Ekiti Central and also the Special Adviser to the President on Political matters, Senator Babafemi Ojudu has openly debunked the rumor currently being circulated by the media house. According to him, "this is falsehood, a man (Professor Osinbajo) who for three months traveled round the country campaigning, in the course of which he was involved in helicopter crash, went through an election which is not even over as there are supplementary elections in six states this weekend". "Mr President has also made him the coordinator of a Committee to audit all the projects embarked upon by this administration and yesterday he and the President were in the Federal executive Council meeting from 9.00am till 6.00 pm and you are condemning him for not going to the market", he stated further. Senator Ojudu also noted that, "Some other men would have gone to seek rest in some far away land, this we have asked him to do and he said there is so much to do here". While stressing on the selfless nature of Prof Yemi Osinbajo, he said "Be rest assured that Osinbajo will never abandon the people, whether in the market, on the street or on the farm.It is who he is, the caring academics , pastor and politician". 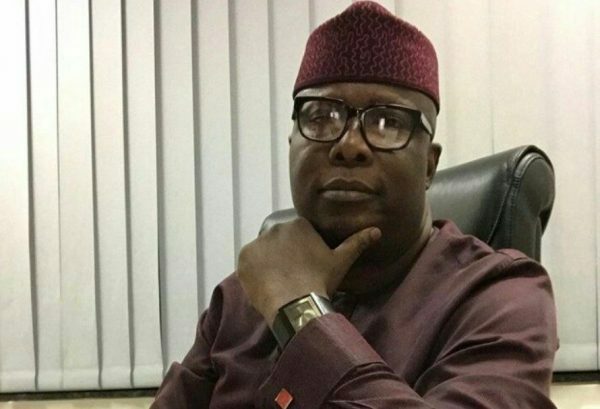 Finally, Senator Ojudu condemned the Punch newspaper for pushing out a false narrative and also losing its credibility over time as they're now recently more involved in propaganda. He said, "Our Punch, the Punch we adore is becoming something else. May our gold not rot".